By now it’s beginning to sound like I’ve given up on running completely. Not true! I have, however, done most of my running inside on the treadmill and I have not got back to any kind of running schedule yet. But I wasn’t letting that be an excuse to avoid a great run last weekend! 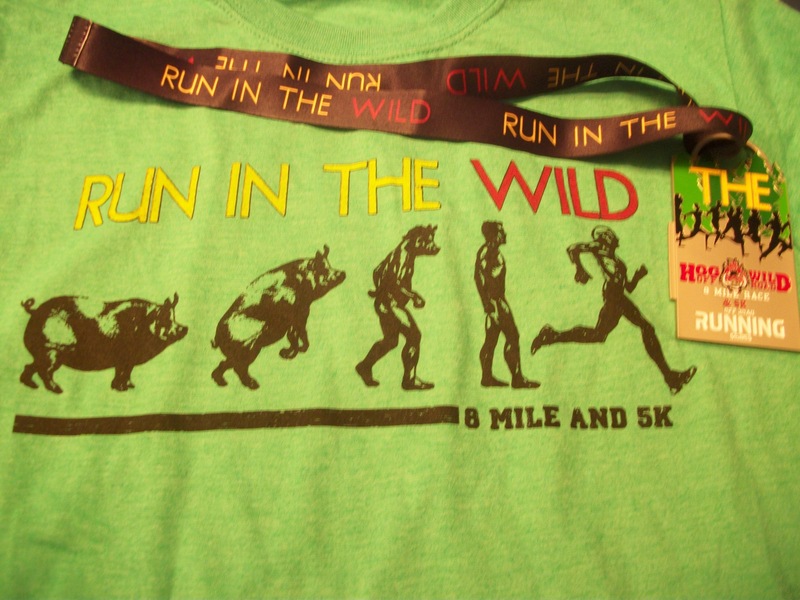 Last Sunday Hog Wild had their Off Road 8 miler and 5K. 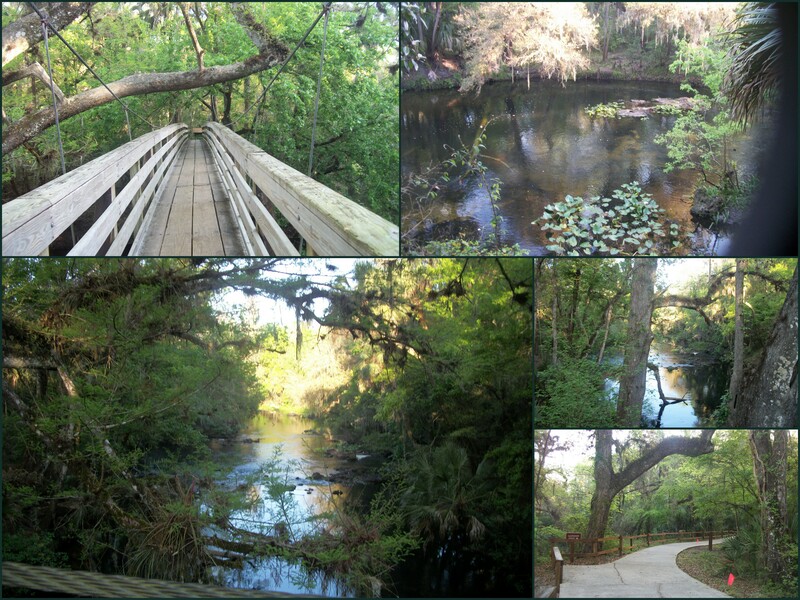 It was held at Hillsborough River State Park. I’d never been there before but I am beyond a doubt going back, just look at this place! This is the first non-obstacle run besides The Color Run that I’ve done, and it was really a different experience. For one thing, there wasn’t that many people and there was only 1 wave. I like multiple waves, it means I can be the slowest person out there and still not finish last. I’ve only run once since Castle Canyon two weeks ago, so to say I could have been better prepared is an understatement. I had three goals for this run. I managed all 3! I did majorly trip at least 3 times over roots and came so close to hitting the ground I don’t have a clue how I didn’t, but whatever. The course was marked pretty well, so getting lost wasn’t too much of an option after all. It was the don’t be last part that made it different and fun. Since the run was in the woods you couldn’t see who was ahead of or behind you, but you could hear them! As little running as I’ve done lately I walked a good bit more than I would have liked to, but when we heard someone coming up behind us we would start running again, or if we heard someone in front of us it was motivation to get going and pass them. I didn’t expect to have so much fun with this part! I always tell people I don’t have a competitive bone in my body, but maybe I do have a little one or two. Long story short my son and I decided we will start looking for more trail runs. They won’t replace mud runs/ obstacle runs as my definite favorite and motivation to keep running, but strangely they just may be the thing to motivate me to try and run BETTER. Oh, can’t forget the race bling! So, if you are a runner what do you prefer? Mud runs, trail runs, or straight up road races? If you aren’t a runner have you ever surprised yourself by feeling competitive in a situation you didn’t expect to? This entry was posted in Running and tagged 5k, Hog Wild, trail run by Kinda Zennish. Bookmark the permalink. Nicely done! I’d love to do more trail running except that we don’t have many in my area. Usually that leads to me sticking with road races, which I’m quite okay with. 🙂 What did your son think of the race? My son is 20 and has done a bunch of obstacle course races with me, he loved it. I like running with him because he always makes me try harder! That’s awesome! My son is only 9 but he loves running races with me – some of his favorites have been the Color Run and a run on Mother’s Day. 🙂 Right now I’m the one who pushes him but I’m sure that will switch soon. Great job. That looks like a beautiful run! I’ve been running on the treadmill for the past few months as well. Now that it’s warming up, I’m back outside. I’ve yet to register for a race, but probably should make this the year that I finally do. I really love to run but currently i am residing in a country in which women can not have such fun. All the Best with your running. I can totally relate to you feeling that you’re not a competitive person—until you get out there in a potentially competitive situation and find that you absolutely are. At age almost 60, I am just now starting to admit to myself that I am competitive, but like you, my motivation is usually not to be the best, but not to be last! Aw, the memories. I used to run many years ago. A very serious skiing accident ended all that. I now walk but running is out of the question. I do miss it, especially when I reads stuff like this. Used to be more competitive in younger years but now dont want to cause a traffic jam ! I have never done a mud or trail run. So I guess I prefer a road race. I’ve never done a regular road race – but I did the Color Run which was a lot of fun. It was strange running down the middle of the streets I am used to driving on and being full of traffic!